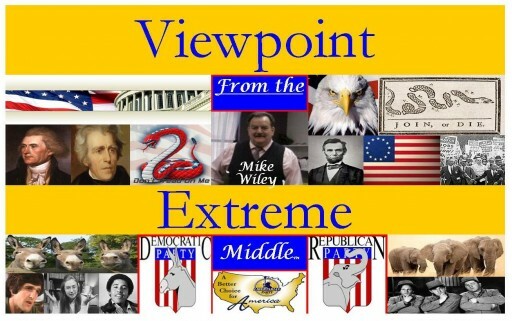 "Viewpoint from the Extreme Middle"
The American People are in the middle of a battle between the Democratic Party headed by Socialists and 60's War Activists and the Republican Party headed by who knows. We are stuck in the middle and we are told our beliefs; of Freedom, Individual Liberty and Free Enterprise are extreme, so be it. We rise in contempt of the Government Corruption these two political monsters have created.